Looking back now, I was a Hollywood producer who fortunately escaped the frantic pace of Hollywood back in 1992. I was convinced I needed to get my life back, and my freedom from the fast lane, and Costa Rica seemed to be a possible remedy. As a devout backpacker and Sierra Club “tree hugger”, my first experiences in Costa Rica, after visiting various countries as a tourist was back in 1974. I soon became convinced that this tiny democratic oasis, with so many diverse tropical climate zones, and more biodiversity compared to all of North America combined, was to eventually become my answer to a search for my own salvation. However it ended up taking me another 20 years, while pursuing my career in Los Angeles, to finally make the big leap, encouraged by the L.A. riots, to get me off my desk chair and packing my belongings for Costa Rica”. I began my second career as a part time resident, commuting between cultures while pursuing my dream. That dream was sustainable hospitality and to build a hotel, starting with a few rooms in 1993, ended up taking me back to the very same destination where I first first pitched a tent to camp on what became the national park beaches of Manuel Antonio. And that all eventually led to creating Greentique Hotels. It now has been 20 years of sharing our unique boutique brands of Costa Rican hospitality. It has evolved from the 7 hours it took on a 4×4 journey of pot filled dirt roads and flat tires to evolve into a super paved highway that now takes us just 2.5 hours to get to our resort at Si Como No from the capital of San Jose. Lots of progress has come to Costa Rica’s infrastructure, and though it’s had its costs on the simple pace I discovered back in the seventies, the country still remains committed to sustainable development that you see in its care where properly licensed development happens. New technology even brings essential services to villages in remote and underdeveloped areas by the government that had the vision long ago to abolish it’s own army and instead build more schools and medical clinics and put aside over 20% of the entire county for national parks, reserves and wildlife refuges! What to me is most impressive is the character and quality of the Costa Ricans or Ticos. Warm, engaging, caring, literate, hard working, innovative, and gracious, all are common descriptions heard form thousands of our hotel guests over the years who have commented on our official Greentique Hotel surveys. 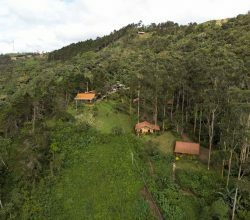 The pace and culture are irresistible when it comes to offering the natural alternative to Prozac, especially at our cloud forest mountain hotel, Villa Blanca, or my buddy Bradd’s place, Aguila de Osa Inn. Visiting any of our locations you will find the reflection of the country’s passion for peace, the environment, knowledge, leadership, and most of all, for its citizens — free health care, and free education including college education in many cases. To really get to know a country, you need to know its people and the places both on the tourist map and off it. I believe you need to experience the pace, eat the food, hit the taverns and local restaurants along the roadside, and really dig into the culture and passions of the people. I know this from personal experience and it drove my decision regarding where to create my first hotel and where to expand from there. Reflecting on the challenges of doing business was an immersive experience, facing challenges in financial, regulatory, political, and cultural worlds that are similar to most other places to start a new venture, especially in tourism that was still in its infancy. It wasn’t easy, but so far so good allowing us the opportunity of introducing people from around the world over to the magic of nature and the good natured hotel staff offering the same friendly hospitality as it was with our first customers, some whom still come back to visit now with second or third generation family members. 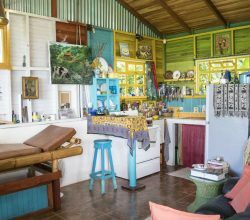 Si Como No Resort Spa and Wildlife Refuge — bringing sustainable tourism to a very popular destination, but making it a Costa Rica experience, not a chain hotel night or chain vacation experience. 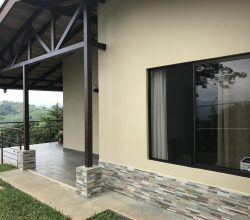 Located above the city of Quepos on the Pacific coast in Manuel Antonio, SCN is a certified 5 Green Leaf Hotel, just a short ways up on the terraces overlooking Manuel Antonio National Park. The resort includes their own Wildlife Refuge and Nature Exhibit of crocodile lagoons, amphibian jungle night tours, and an amazing butterfly atrium garden. Another popular draw is the Santa Juana Rural Mountain Tour – preserving a rural culture and giving people a taste of simple village life, seemingly going back in time, to the roots of the country’s heritage. Villa Blanca Cloud Forest Hotel and Nature Reserve — Bringing sustainable hospitality to the cloud forest in Costa Rica’s Central Highlands, a late 19th century village recreation that is a Costa Rica experience few people ever see. Located 60 Km from the San Jose airport in the Canton of San Ramon, the halfway point on the trip to Arenal Volcano. 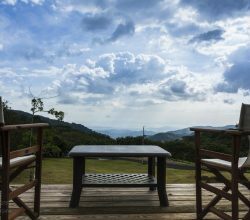 A certified 5 Green Leaf Hotel it is the only hotel of its kind actually located within a private cloud forest reserve,with research station and also a wellness spa. If you know anything about cloud forests, you’ll understand how remarkable it is to experience first hand the most bio diverse and endangered habitat on Planet Earth! Agulia de Osa Inn — Gives people access to what is arguably the last truly wild place in Costa Rica – the Osa Peninsula. It is here you will find the same comfortable and quality accommodations as all of the member hotels of Greentique. You can choose to visit Corcovado or Canos Island National Parks, and scuba dive or go fishing in this amazing marine frontier. This property operates under the Greentique model and is already transforming into a sustainable hospitality concept. Greentique’s continued commitment to support local social and environmental organizations, schools, and the hiring of locals to staff and run our hotels, has been honored by the Rainforest Alliance as the Corporate Trend Setter in 2009 and Costa Rica’s Best Friend to Tourism Award in 2011. I realize that getting to know a whole country is essential if you are really thinking about an escape. See the places and the people in as many regions as you can, not just the tourist areas, not just the trendy new developments targeting retirees, vacation homebuyers, or investors. 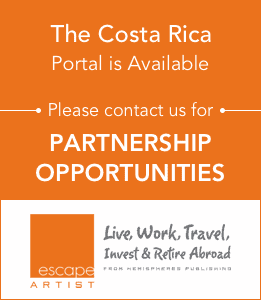 You need to really “get in” and get a true understanding of the pure life – pura vida as they say here in Costa Rica. I still remain deeply committed to Costa Rica; it is my second home, but living and working here, as well as retiring here in the not too distant future, is now my first love. As with all places, it has its challenges. But so does the 405 through West Lost Angeles, or the Kennedy Express Way. I decided to take the slower, less crowded road, and got off at the LAX airport exit. Looking back, after boarding that first flight to Costa Rica on a Pan Am 707, that I would not be looking back for long and so far I have no regrets. 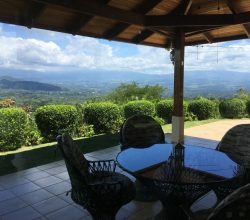 So, if you really want to look at Costa Rica, experience what its people and a number of its regions are like, consider exploring the boutique destinations of authentic and sustainable hospitality as a VIP guest of Greentique Hotels with some special packages we have to offer you on our own websites. 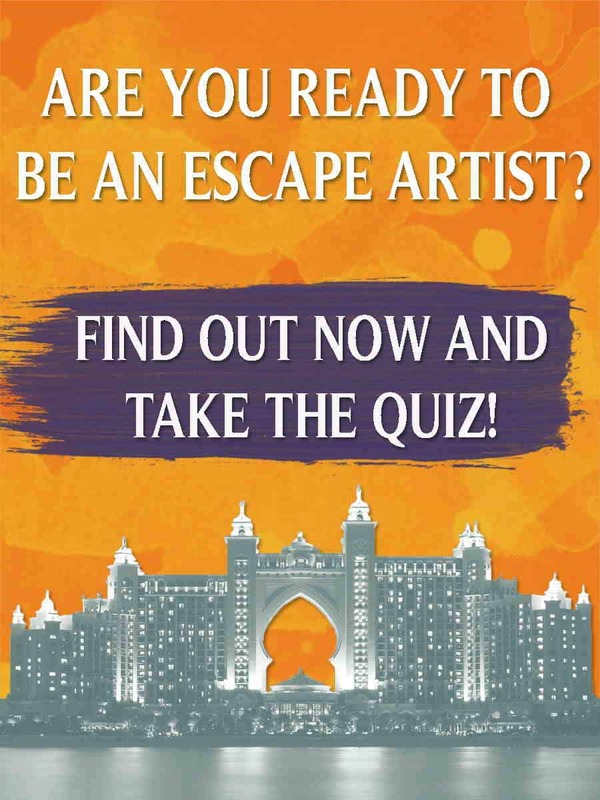 PS: should you decide to visit us, mention you read about us on Escape Artist and we’ll give you an additional discount. For more information about sustainable hospitality and the barefoot luxury experience of Greentique Hotels, feel free to visit their selection of websites. Jim Damalas is a full time resident of Costa Rica, CEO of Greentique Hotels, and a pioneer in eco-tourism and sustainable hospitality. He is truly an “escape artist” that not only found his paradise, but also created a way to share it with those who are intrigued by the idea of relocating to another country.